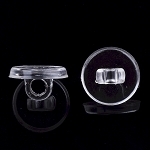 Silver plated locking button cover with flat pad for gluing. 18mm diameter. Q: up to what size button would this cover? 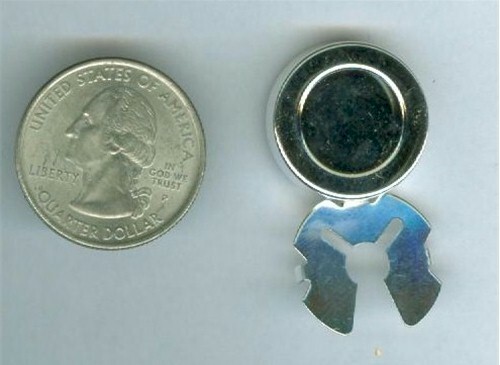 A: I think a 14mm button would fit but realistically these are meant for your standard shirt button like you might see on a mans dress shirt or blouse. I measures those at 11mm. A: No these are not sterling. They are silver plated brass.